It was birthday time in my entourage and that meant the following – excitement about making a cake! I personally find making a cake from scratch is always a worthy endeavour. 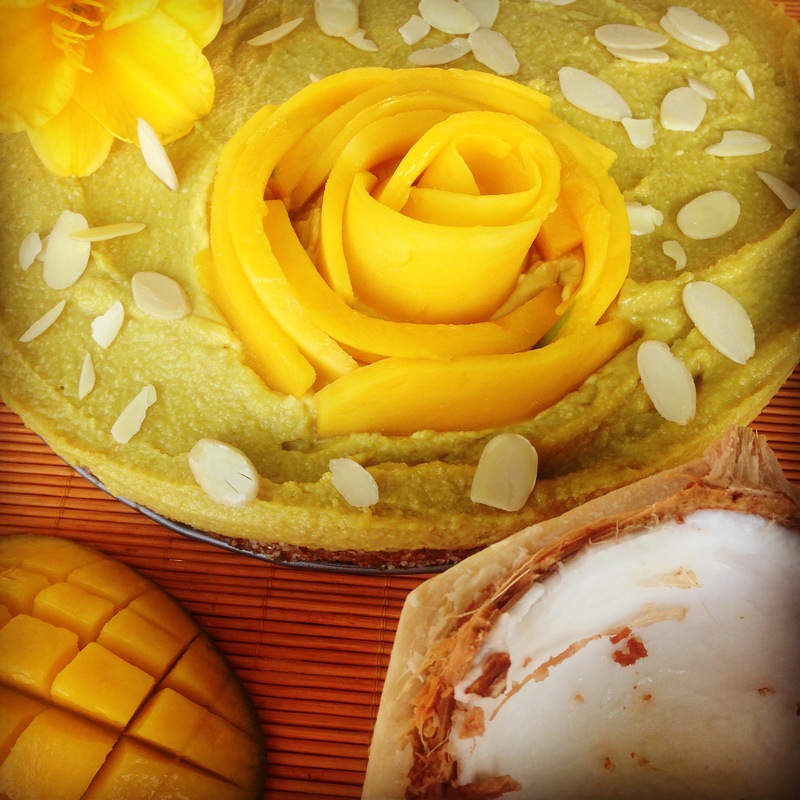 This particular cake was a delicious way for me to use one of my favourite fruits – mango! To use a lot of adjectives, this mango cake is delectable, decadent, out-of-this-world, to-die-for, smooth, naturally sweet, wholesome and unbelievably easy to concoct. Oh, and it happens to be raw and vegan. 😉 With no flour, no sugar and no butter, Paula Deen might be confused. 😉 That said, it’s still rich and creamy, without leaving you feeling like you just ingested a brick! Pat down into a cake pan and set aside. Combine all ingredients for the filling in a food processor, blend until smooth and add to crust. Set in the freezer for 1 1/2 – 2 hours to help cake set. Decorate with starfruit, passion fruit, fresh mango, dried coconut, sliced almonds or whatever else you feel would make this prettier.